I found this article on my hard drive today and it made me smile. I wrote it ten years ago, and submitted it to a kitesurfing magazine as a travel feature on Australia. It wasn’t published, so I’m publishing it here. I wrote this as a 22 year old uni student who was deep into kitesurfing. I’d skip class when the wind was up to get time on the water. 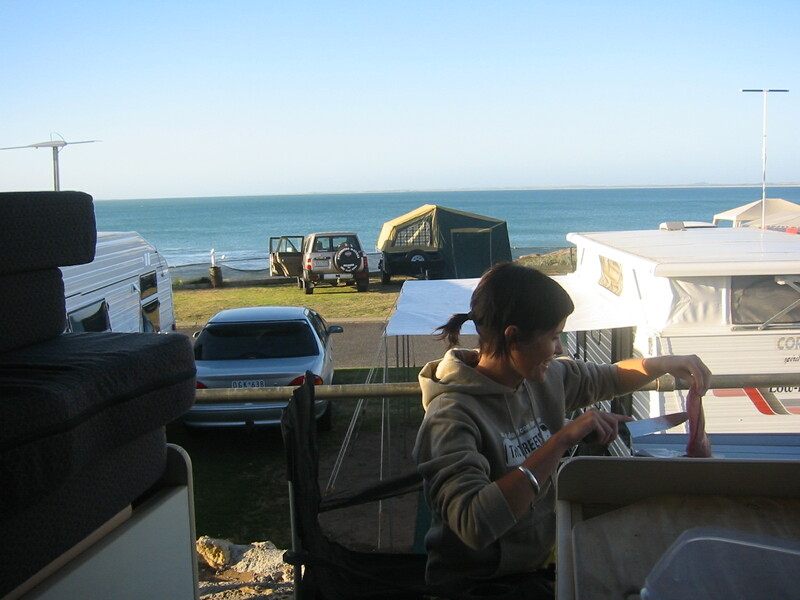 This was the first of a few big Australian road trips, and the one that led me to make one of my best investments – a campervan of my own (Henry the Hiace). It’s awesome to reflect how my girlfriend at the time is now my wife. Sad that I haven’t kited in a few years – but it’s on the list. 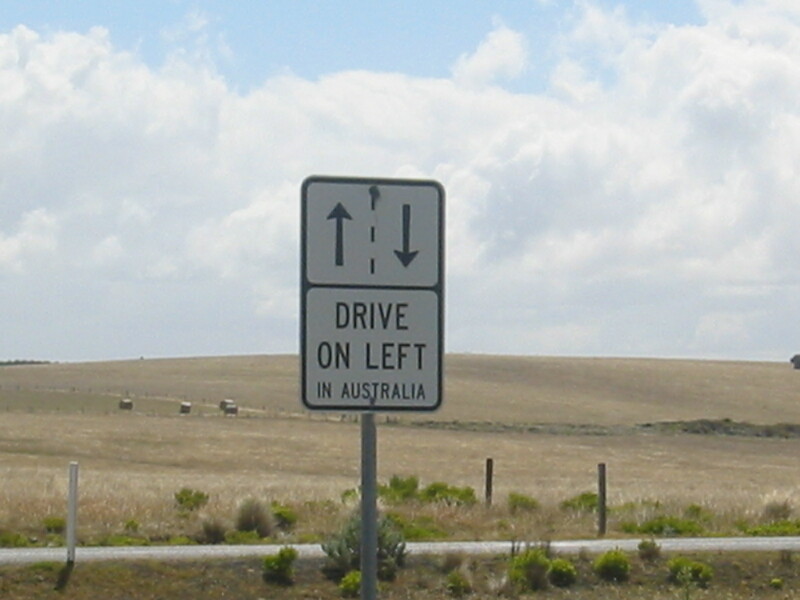 Amazing that you could drive and travel Australia for $150 a day in 2006. And amusing to see my writing style at 22. We started in Brisbane, and headed straight for Adelaide. It’s around 2000km, through very flat country with straight roads. There are awesome bush towns every 100km or so along the highway, and you quickly appreciate how remote and large the country is. At the start of every town you pass a tractor shop followed by a car dealership. Every town! This was a good drive to get out of the way early, while the novelty and stoke was still high. Left to the end it might have been 2 days of boredom and heat. 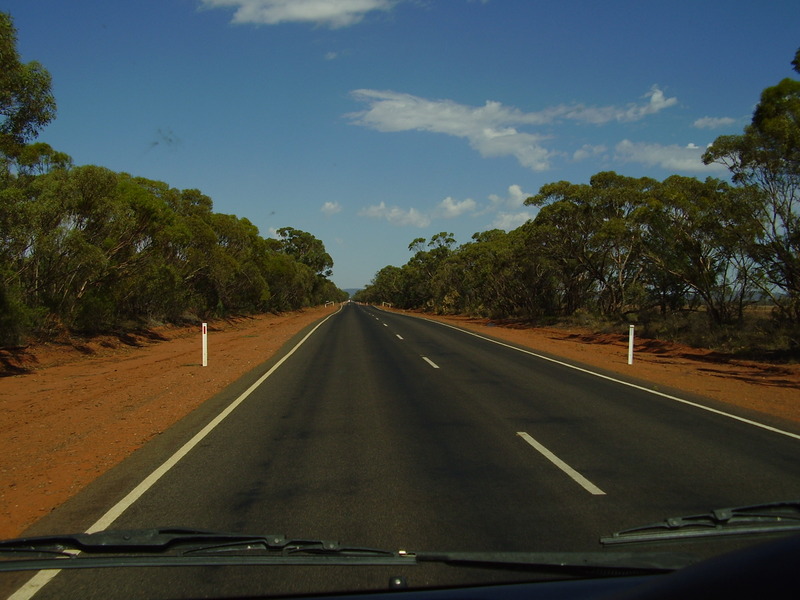 At Mildura the road meets and then follows the Murray River. It is Australia’s second-largest river, flowing through 3 states, and forming the border of Victoria and New South Wales. It has a number of impressive locks and weirs built in the early 1900s, which regulated the flow and allowed river transportation. Dry winds make bushfires a danger throughout this area, but I didn’t find any good spots on the river for kiting. Just outside Adelaide is the Barossa Valley, which is well worth a stop. It is one of the best wine-growing regions in Australia, and the many wineries all offer tastings. Adelaide is a small city compared to others on the east coast, and it’s got heaps of old (by Australian standards) buildings and architecture, and a pretty cool city centre. It has an awesome beachfront centred on the suburb of Glenelg, with nice beaches north and south of there. 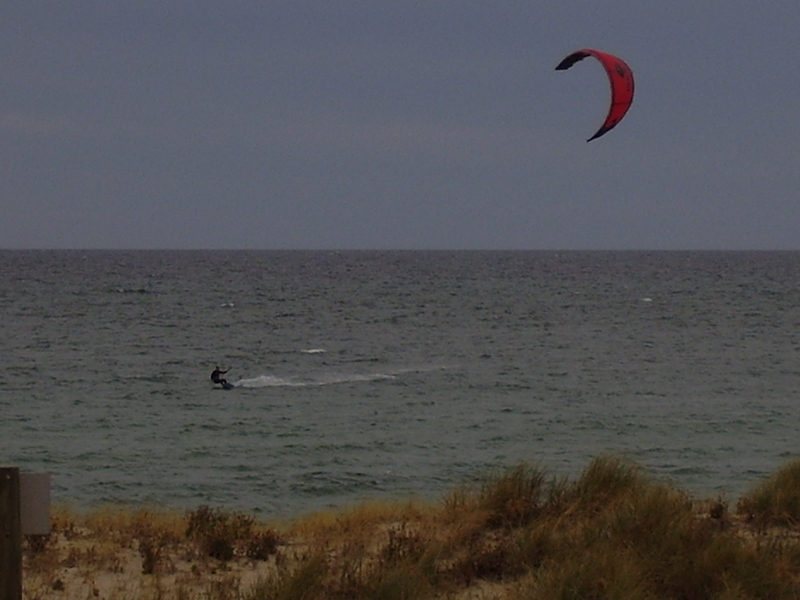 It was blowing 15-20kn SW when we were there, and a couple of other kiters were out just north of Glenelg around Henley Beach. There is a fairly big beach along this stretch with heaps of space for setting up, and some nice flattish water. The water was cold, even in February (one of the hottest months in Australia). Wetsuits definitely required. From Adelaide we headed to Goolwa, which is an historic port town about 1.5hours south. Lucky enough to score an uncle’s beach house for a few nights, but we saw a couple of other vans just camped in carparks right next to the beach. It’s fairly remote down there, and very picturesque. There are a few surf breaks in the area, notably at Middleton, but it was gusting completely onshore in our time there. 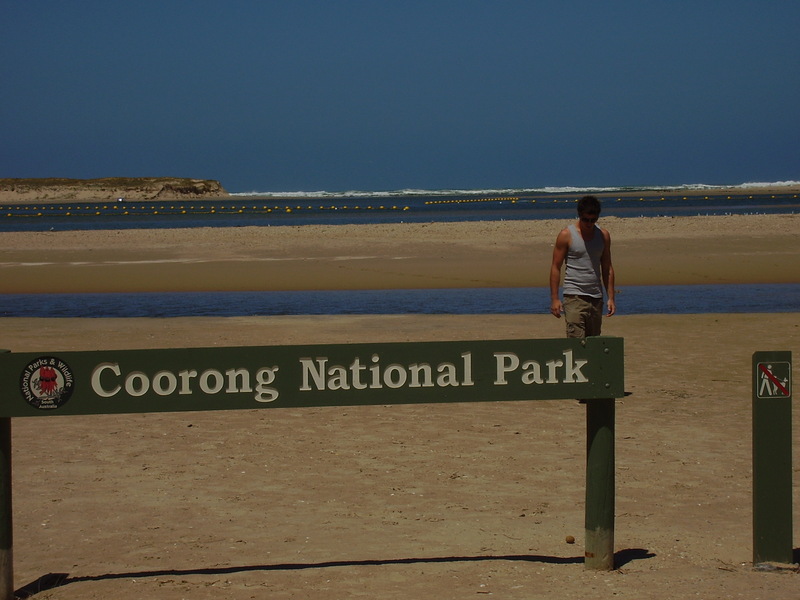 The beach is awesome, and leads to the mouth of the Murray River, bordering the protected Coorong National Park. Strong wind seemed to be a constant, but I wasn’t game enough to kite in what was pretty treacherous surf. It was only on our way out – when the wind had died – that we discovered the mouth of the Murray River. Damning and irrigation upstream has almost reduced the mouth to a silted up lagoon, and 24hr dredging is required to allow fresh tidal flow. This is an important environmental issue, but politics has unfortunately taken over; as the river flows through 3 states. What I found though, was an unbelievable flat water paradise, which would have been perfect in the onshore winds we had just been waiting out. The area looks similar to the Best lagoons in Brazil, and marine traffic is limited to a couple of narrow channels. SE to SW winds would blow perfectly through the gap in the dunes, and I reckon you would have the area pretty much to yourself. I was spewing we didn’t find this a day earlier, but there was plenty of coast ahead. 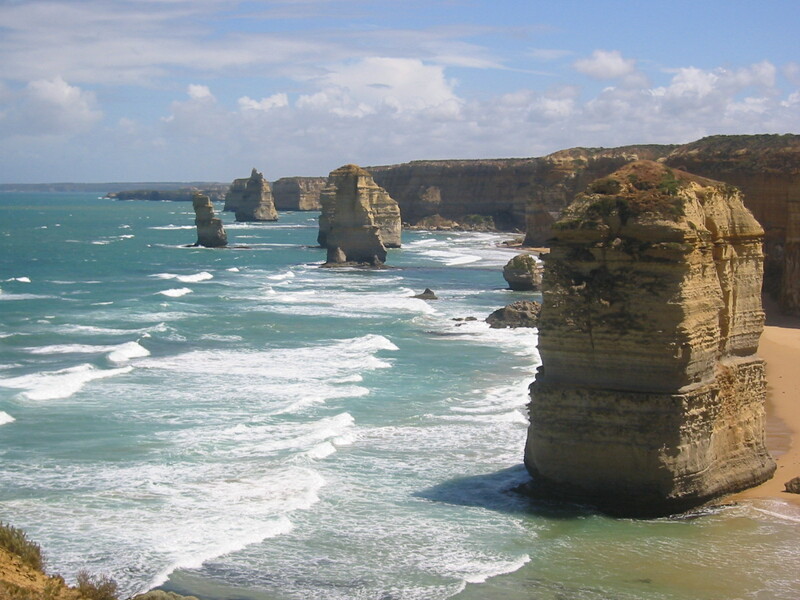 The Great Ocean Road is one of Australia’s most popular tourist destinations, and arguably it’s most well-known drive. It officially begins at Warnambool, and heads east along rugged and beautiful coast for around 300km to Geelong, just outside Melbourne. It literally cuts into the cliffs in places, making it a fascinating drive. The 12 Apostles are famous rock formations caused by millions of years of swell and erosion, and are really amazing. There are no longer 12, and one even collapsed last year. They will probably last a while longer but they well deserve a look. The small towns along this stretch are all quite touristy, but all amazing and scenic. They include Port Fairy, Warnambool, Apollo Bay, Lorne, Portland and Torquay. In the right conditions they would each have sweet places for kiting, and the surf along here is also awesome. Bells Beach is just outside Torquay, and is famous for its powerful waves. Torquay is also the home of Rip Curl, and I picked up a pretty good wetsuit at a decent price in one of the factory outlets. 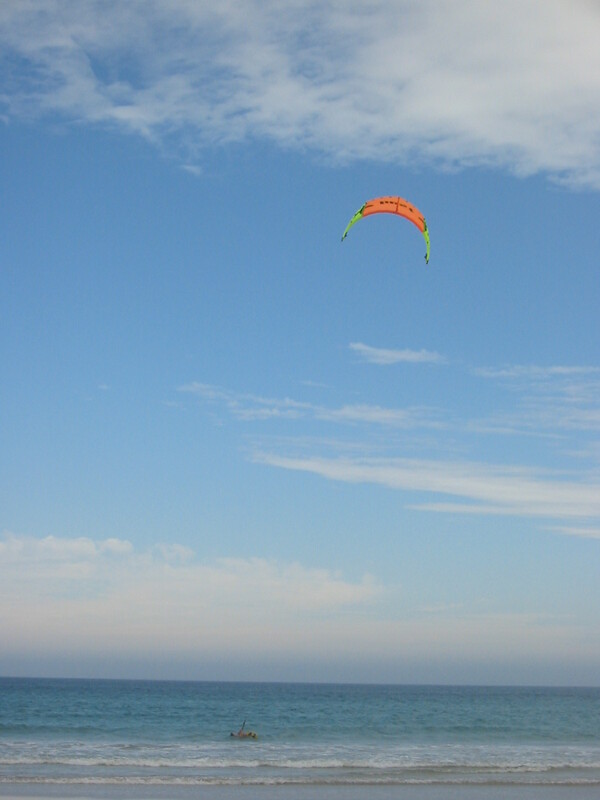 I luckily got to try it out about half an hour later, because the wind picked up and I saw a few kiters heading out just off the main beach. 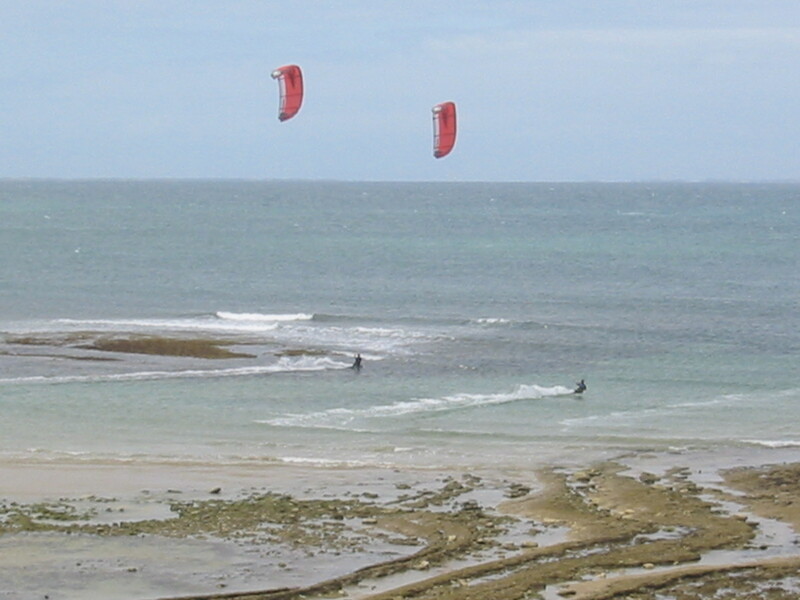 Low tide at Torquay exposes a reef just off the point, which provides a great protected area for kiting. There is a healthy kiting scene down there, and everyone seemed friendly. The wind wasn’t quite strong enough for a good session on an 11m though, and most guys were out on 13m, or bows. Melbourne is a great city. There’s not much I can say except that it is really vibrant and alive. It has great dining, an awesome music scene, pumping nightlife, and a huge kitesurfing community around the popular suburbs of St Kilda and Brighton. We were staying with friends over a weekend, and suddenly everything’s a bit blurry. Didn’t kite at all, but spent a perfect Sunday ‘recovering’ in the botanical gardens at a music festival called Good Vibrations… enough said really. Awesome time, and you could really explore the city for days. Only downer is it’s quite expensive to eat and drink, and accommodation probably would set you back a fair bit. We didn’t stumble across any camping grounds in the city centre. We were finally heading back up the coast, with the expectation of warmer water, better surf and solid winds. We had however, in the haze of a Melbourne weekend, forgotten how big our country was. Looking at the map, it was a fair way to the promised warmer waters of the north, so we spent a peaceful night in a town called Paynesville (near Bairnsdale on map), which is right on the Gippsland Lakes, a network of waterways covering around 600km sq. The lakes are impressive, and to our surprise we even saw a pod of dolphins cruising this far upstream. The water was perfectly flat, with a couple of sailing boats out. In the right winds I’m sure you could kite a million places in the area. We were conscious of running out of time by this stage, so rather than stop at every beautiful place we found, decided to pick a couple and really chill there for a couple of nights each. 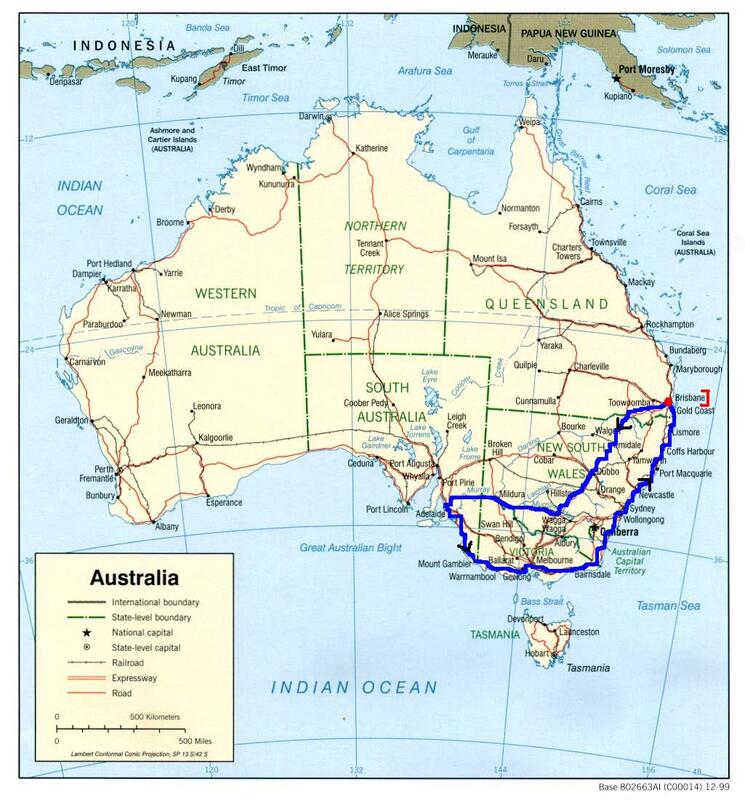 The stretch of coast around these towns is called the Sapphire Coast (midway between Sydney and Melbourne). There are some truly awesome beaches tucked into little coves, and the area is home to the largest fishing fleet in New South Wales. 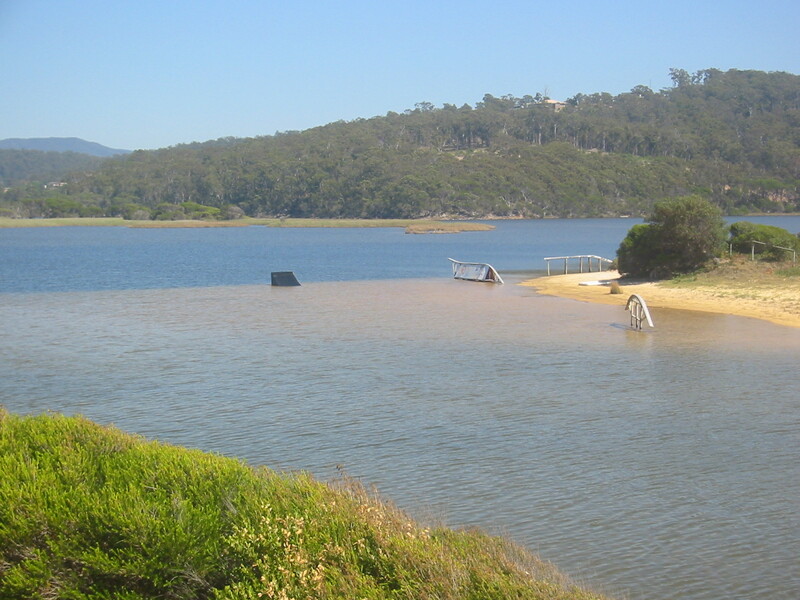 Eden is set on picturesque Twofold Bay, and there are heaps of beaches which would catch wind of most directions. Unlike much of the coast, the beachfronts in this area remain mostly free of large developments, adding to the charm. 50km north is the beautiful town of Merimbula. Its position is unbelievable – located at the entrance to Merimbula Lake, which meets the ocean at a fairly friendly bar tucked into a protected cove. In the right conditions there is apparently an awesome left-hand break which can produce barrelled runs of 200m down the beach. Unfortunately the wind died for the next week, and I didn’t kite again. On the plus side, it gave me heaps of time to work on my backhand surfing, as the majority of breaks on the east coast are right handers. While summer is generally the best season for wind in most of Aus, there are always dead patches, so definitely bring a surfboard as well as your kiting gear. We drove straight through Sydney, which is an unreal city, but beautiful weather and news of increasing swell called us north. 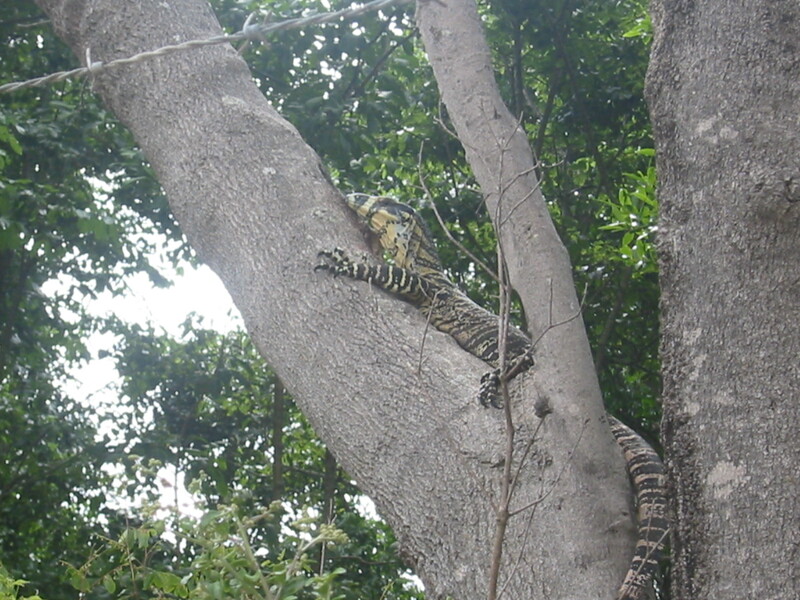 We had nights at Seal Rocks (just south of Port Macquarie), South West Rocks, Coffs Harbour, and then Byron Bay. It is impossible to describe the beaches along this coast – golden sand, endless breaks, and warm water. We could have spent a month just along this section. Byron Bay is a particularly awesome place – home to a few really good music festivals, and amazing beaches. An offshore cyclone was producing solid but really rough swell, but ‘the Pass’ at Byron wraps this swell around the lighthouse point to produce an outstanding wave. Protected from the wind, the waves break on a perfectly formed sandbank, and it was some of the best surf I’d had in ages. The ridiculous crowds can make it hard to get a wave, but when you do it’s completely worth it. Unfortunately Byron has become a real tourist town, which doesn’t please some of the locals. My good surfboard was stolen from underneath our van during the night, and I learnt the hard way that thieving is a bit of a problem in the main campsites. I was pissed, but a friendly neighbour lent me his mini-mal and I had 2 more days of outstanding surf. We drove straight from Byron back home to Brisbane (2 hours). There are more amazing beaches and surf between there, including the famous Gold Coast, but our time had run out. We had seen the tiniest fraction of our coast, but loved every minute of it. Back to reality, jobs and uni, but tanned with huge smiles, and some awesome memories. Petrol: Prices vary widely, but we spent around $900 in total. Avg $80 per tank = 500km. 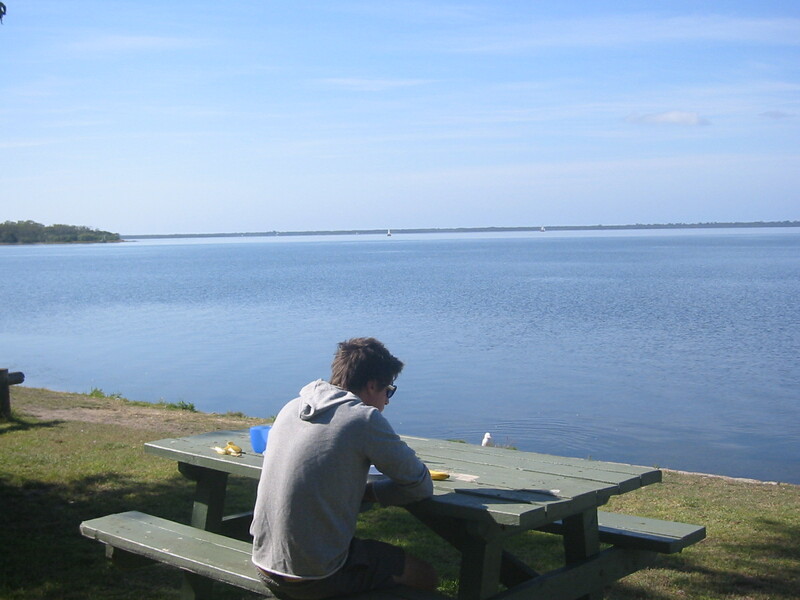 Camping: $15-30 per night depending on site and requirements. It’s illegal in many places to just sleep in the street, but this is rarely a problem if you pick the right place. Summer is definitely the time to make a trip like this. While Queensland has great weather year-round, the southern winters can be miserable. School holidays are Dec-Jan, which bring crazy crowds to all parts of the coast. Feb is probably a good month to do it. Avg temps were 20-30 degrees Celsius. 11m/15m or 12m/16m quivers would be perfect for most conditions.